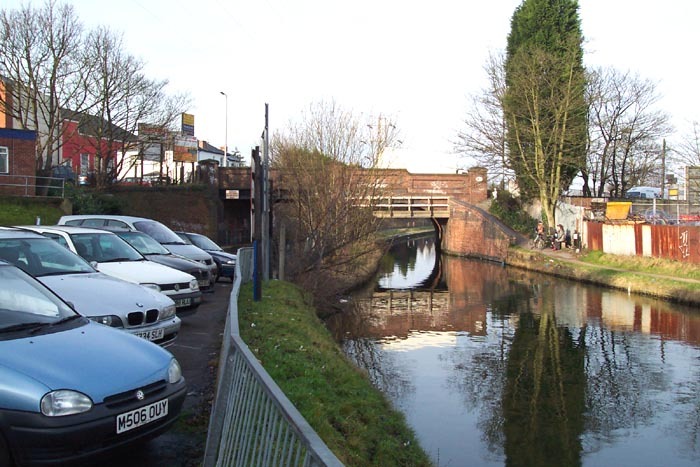 A rather forgotten part of the Birmingham railway scene, Lifford Canal Branch started life as part of the Birmingham West Suburban Railway's line linking the Birmingham and Gloucester's line through Kings Norton (along the Camp Hill line) with a new 'City Centre' terminus at Granville Street. The BWSR was to be operated by the Midland Railway (who were soon to take overall control of the railway) and consist of a single-track from Granville Street with stations at Church Road, Somerset Road, Selly Oak, Stirchley Street (now Bournville), Lifford (opening two months after the other stations, and finally arriving at the B&G's Kings Norton station. 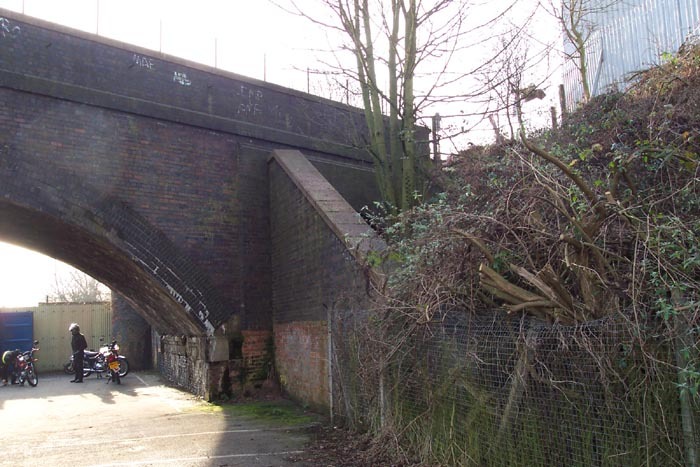 However, we are concerned with the section between Stirchley Street and Kings Norton which bore no resemblance to the present line of the railway. The original BWSR followed the Worcester - Birmingham Canal in a much tighter form than the line today. A few hundred yards South of Stirchley Street station (just passed the Mary Vale Road overbridge) the canal moves-off to the left away from the present-day railway: the BWSR, however, continued to follow the route of the canal passing under Pershore Road and under the viaduct carrying the B&G's Camp Hill line over the canal before sharply turning right and rising up a steep incline to join the B&G line just to the north of Kings Norton. 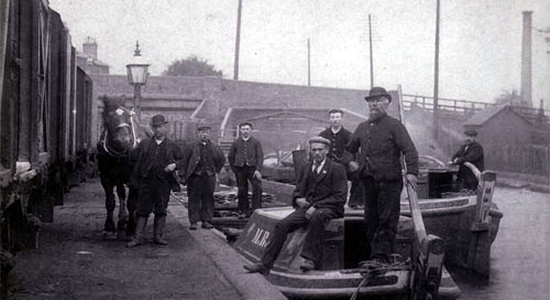 Above we see part of the line during the early-1900s looking towards Stirchley Street and the City with the bridge carrying the Pershore Road over the line and the canal in the background. In 1885, under Midland Railway ownership, the Stirchley Street and Bournville to Kings Norton Deviation Line was constructed (the current route between Bournville and Kings Norton) allowing the now double-tracked West Suburban Line to take a more direct route between the two stations. This move also led to the closure in the same year of the second incarnation of 'Lifford station' which stood on the line for a mere 9 years (although this fared better than the first 'Lifford station' that stood on the B&G line and only lasted from 1840 - 1844)!. Above-left we are on the Pershore Road bridge over the line with Bournville to our rear. The scene at the top of the page was shot on the area now a roadway to the right of the shot (but obviously looking towards our position here). 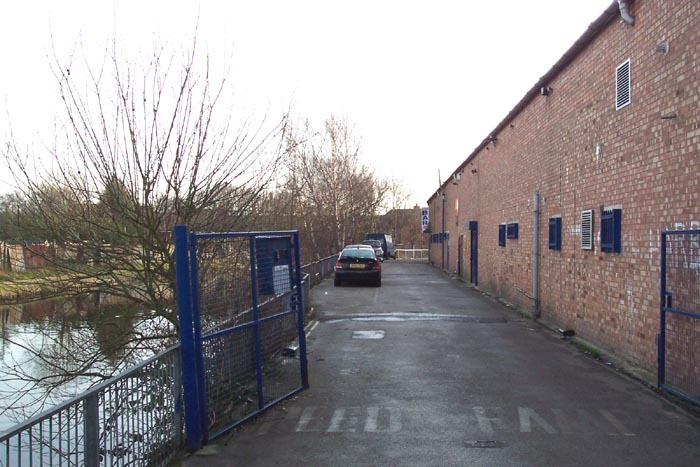 The large building ahead occupies the site of a goods shed of similar proportions as the line, following the removal of passenger services, became a useful goods branch serving a wharf at this site. Above-right we have taken roughly the same shot as the early-1900s photograph depicts with nothing to indicate a railway ever ran through this site existing today. Above-left we are on the 'trackbed' and have walked forwards towards the Pershore Road overbridge. 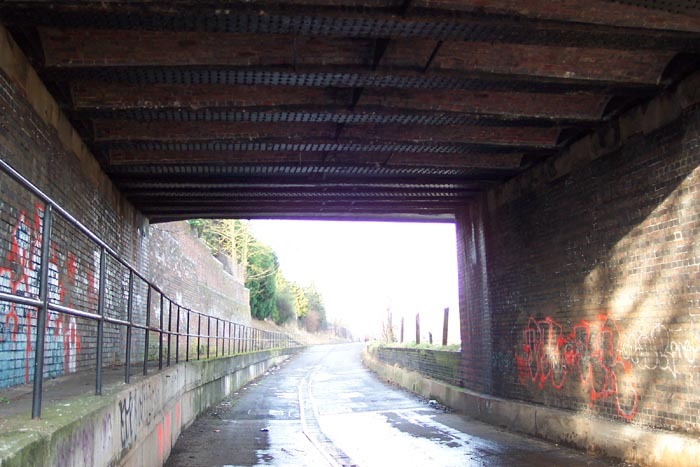 We can see that the railway and the canal were afforded separate 'arches' under the road. 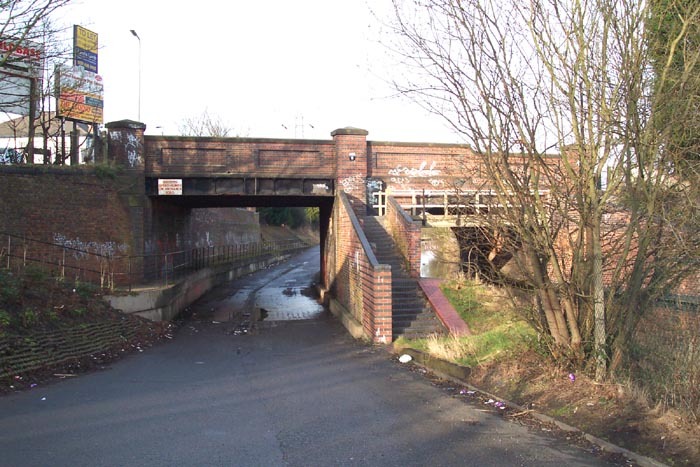 However, this is not the original bridge over the canal and railway. Above-right we are under the bridge on the trackbed watching the route of the line heading-off towards Bournville with the canal to our right. Above-left we are back on the Pershore Road bridge looking at the line of the trackbed towards Bournville. 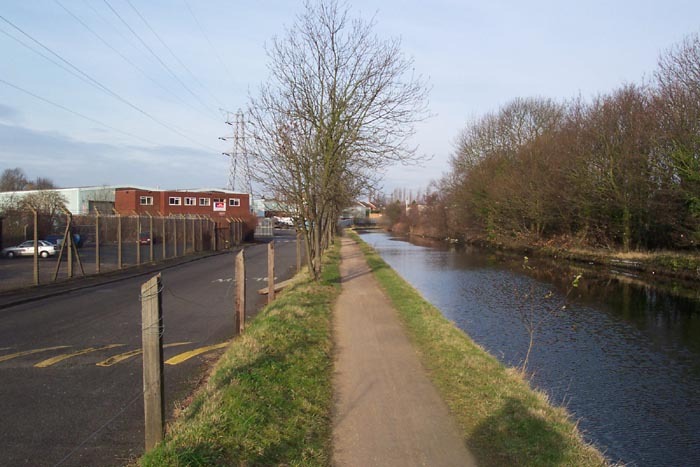 Above-right we are on the towpath of the Worcester-Bournville canal with the trackbed to our immediate left which now forms a roadway leading to a small industrial estate. Interestingly, the line carries on here for a few hundred yards to the point where it joined the B&G parallel to the site of Bournville engine shed: a structure unfortunately long-since demolished and now a small housing estate (Selly Hall Croft and York Close). 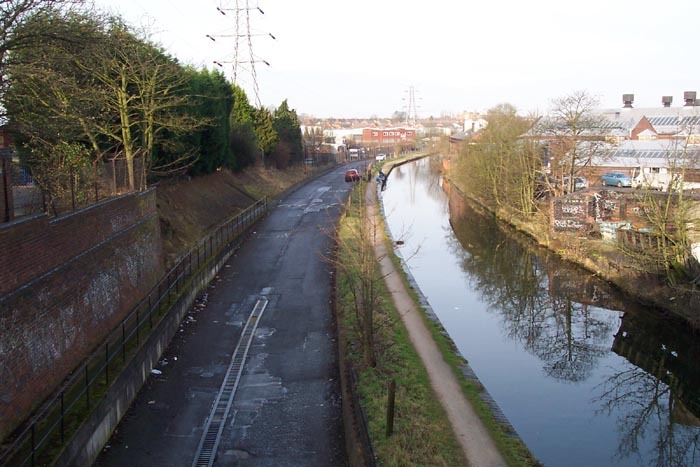 Above-left we are looking through the Pershore Road bridge towards Kings Norton with the wharf site directly ahead. 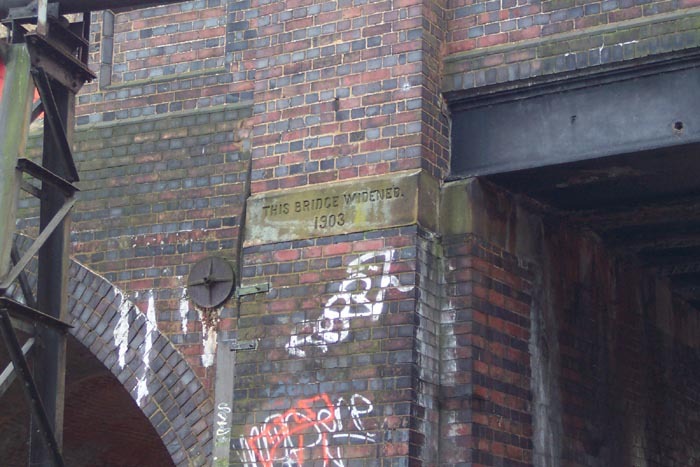 Above-right is a plaque on the 'Bournville side' of the bridge stating the bridge was widened in 1903, although how exactly it was 'widened' I cannot discern at the site. 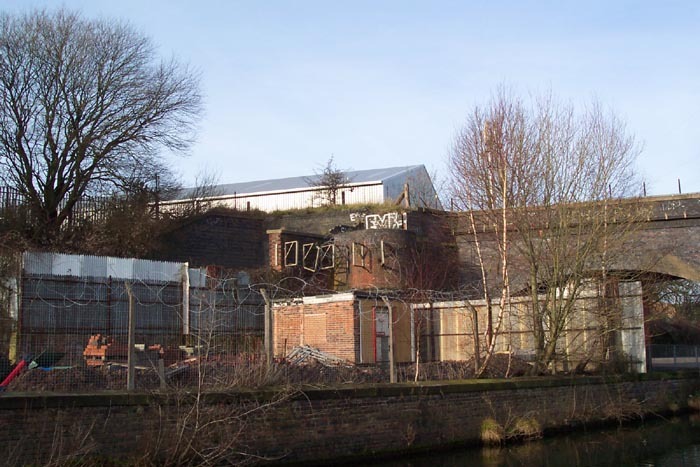 Above-left we are at the side of the site of the goods shed with the Pershore Road to our rear looking towards Kings Norton and the site of Lifford station. Above-right we have rounded the curve shown ahead in the previous photograph and have arrived at the point where the BWSR passed under the viaduct carrying the B&G Camp Hill line. Interestingly, as shall be shown below, the first and third incarnations of Lifford station are to the right of this shot on the B&G. Above-left we are still on the trackbed but this time looking up to the viaduct carrying the B&G with Kings Norton to our right and the City centre to our left. Dead ahead, and unfortunately blocking the course of the trackbed, is a Portakabin for a motorcycle training school and beyond that some development work seems to be taking shape. Above-right we are looking up to the site of the final incarnation of Lifford station. 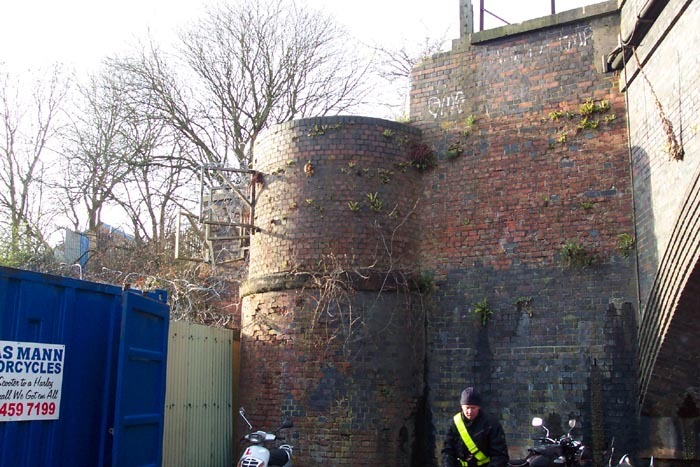 The rather odd-shaped brick 'cylinder' is of interest but it is not possible to get close to see what it's purpose may have been: a stairwell linking the BSWR with the B&G station perhaps? If anyone has any ideas, please let me know. Above-left we are on the canal towpath and looking at the site beyond the motorcycle training school. I couldn't discern what building work was being undertaken but it is on the trackbed itself. The line here begins a steep climb away from the level of the canal on a sharp curve off to the right to get up to the level of the B&G line. 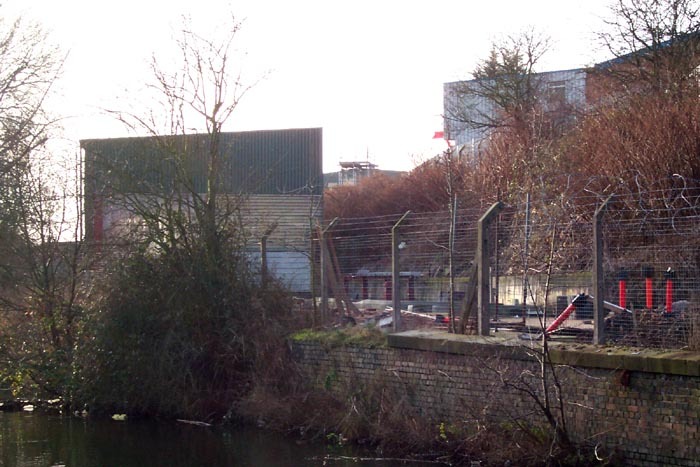 The original Lifford station stood beyond where the large building now stands across the trackbed the other side of Lifford Lane which is just to its rear. Above-right we are in the same spot but looking back to the B&G viaduct with the odd brick 'cylinder' centre-shot and the site of the final Lifford station top-left. 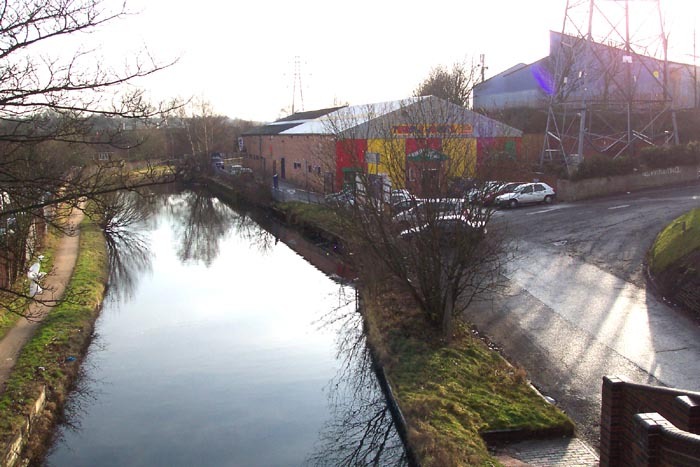 The canal branch closed 1962 and all trace has now gone. Interestingly, those who remember Kings Norton Business Park when it was Kings Norton Factory Centre - filled with rather grim heavy industry - will remember that Melchett Road had a dog's leg kink in it towards Lifford Lane: this was due to the railway skewing the line of factories at that end of the site as it looped around to the B&G line which it joined roughly adjacent to the end of Cotteridge Road. 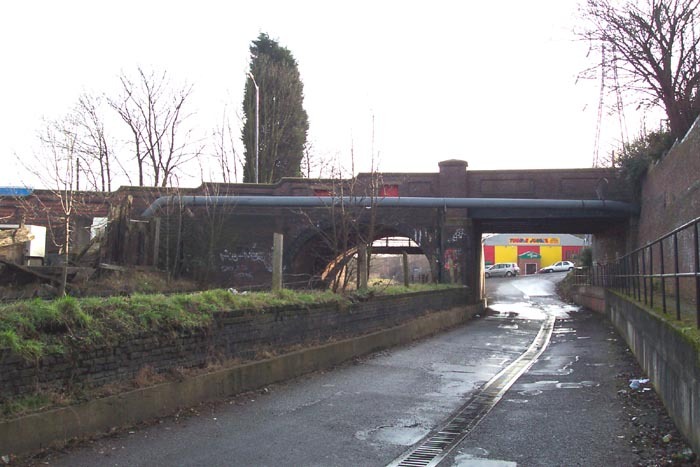 The 'canal wharf' line crossed Lifford Lane on a bridge which, for those whoc know the area, demonstrates the incline that was required to get from the level of the canal to above road height over a relatively short distance. It is an interesting site and one worthy of further investigation when I have the time as I didn't get around to walking to the spot on Lifford Lane where the line once crossed it - although looking beyond the industrial units on Melchett Road towards the B&G line, there does appear to be an embankment heading towards, but truncated before reaching, the spot on Lifford Lane where the BSWR would have crossed it.